Egg shaped doorknobs are very popular designs right now. Many have the standard egg shaped knob but if you want to have an egg shaped knob that breaks the status quo you need to choose the Weiser Laurel knob. 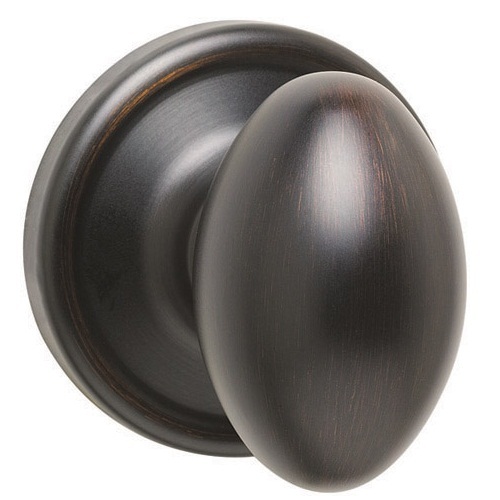 The Laurel door knob comes in the rare Venetian bronze finish. The Venetian bronze finish mixes a dark finish with lighter accents to give you an impressive contrast. You get a beautiful doorknob that is sure to be different from all the other egg shaped knobs you see around. The knob comes backed with the Weiser limited lifetime warranty and can be ordered in all the basic hardware functions.